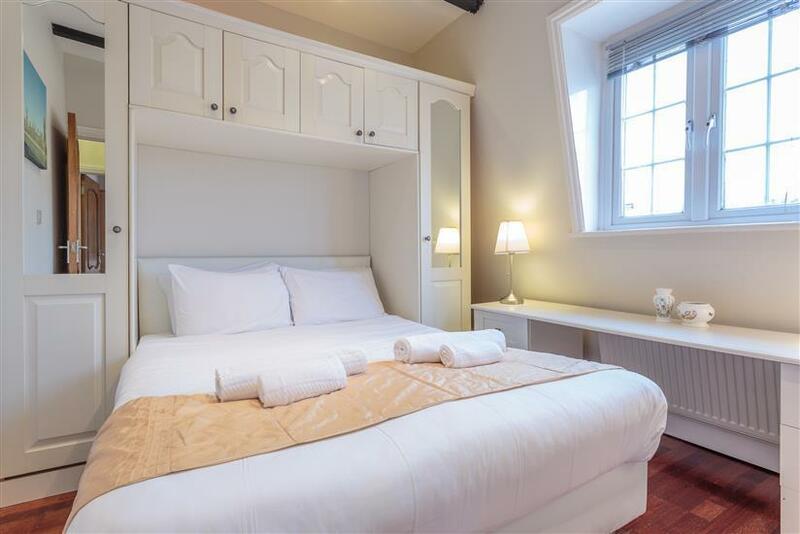 A convenient apartment for sleeping and dining for up to six people and so is suitable for larger groups and ideal for a family of three generations. 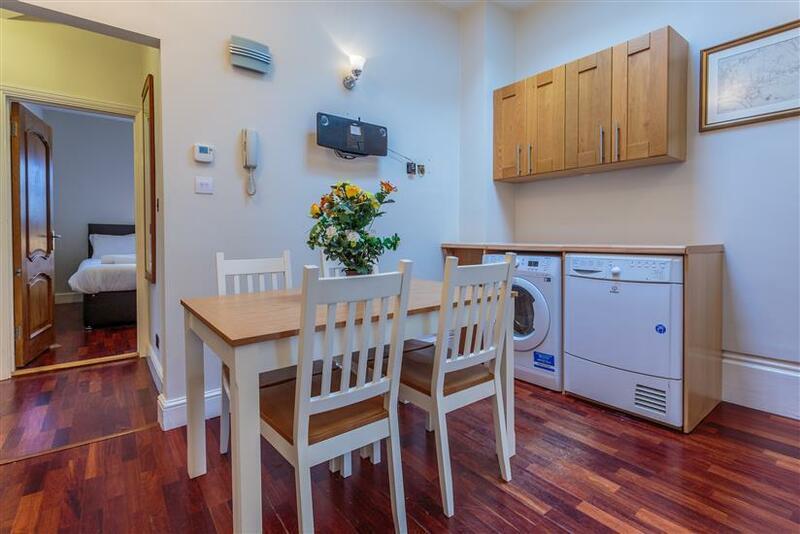 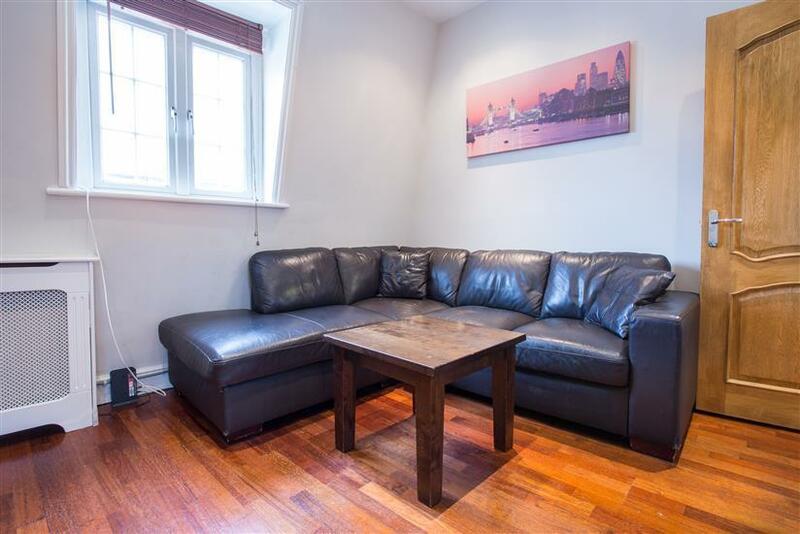 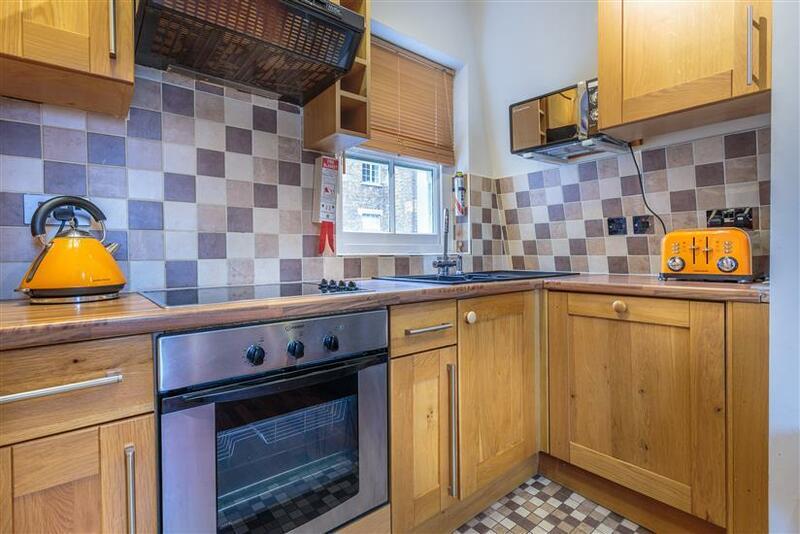 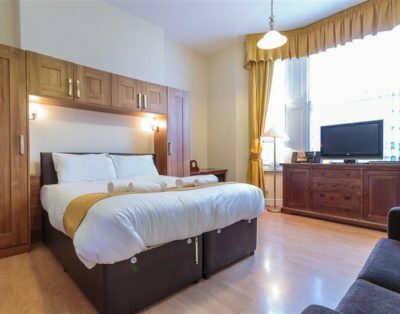 The apartment is well equipped for a short or longer London stay, with fully fitted separate kitchen with microwave, toaster, kettle, oven, washing machine, dryer, and dishwasher. 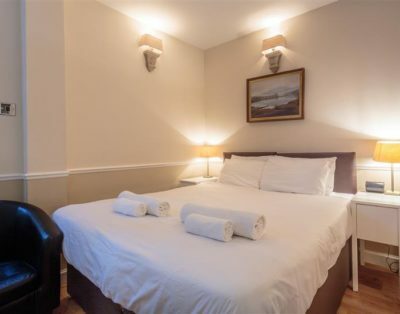 It comes with free WIFI as standard and several other facilities to make your stay more comfortable and enjoyable, such as a flat screen TV, DVD player, games console, radio/alarm clock, iron/ironing board, and hairdryer. 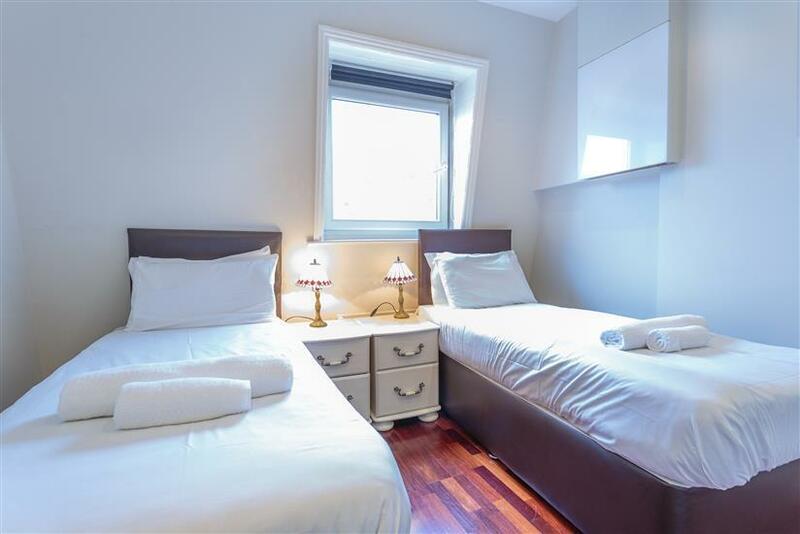 The three bedroom apartment consist of two king bedrooms, a twin room with two single beds with an en-suite bathroom, which can be converted into another king bedroom. 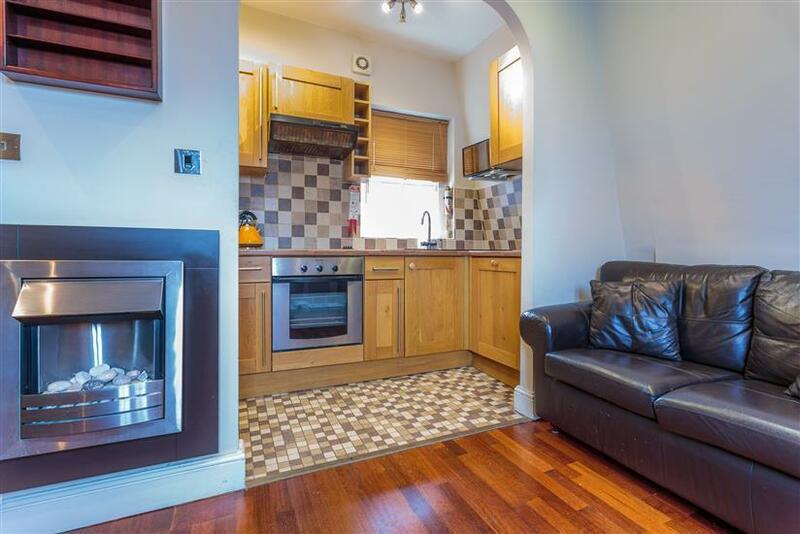 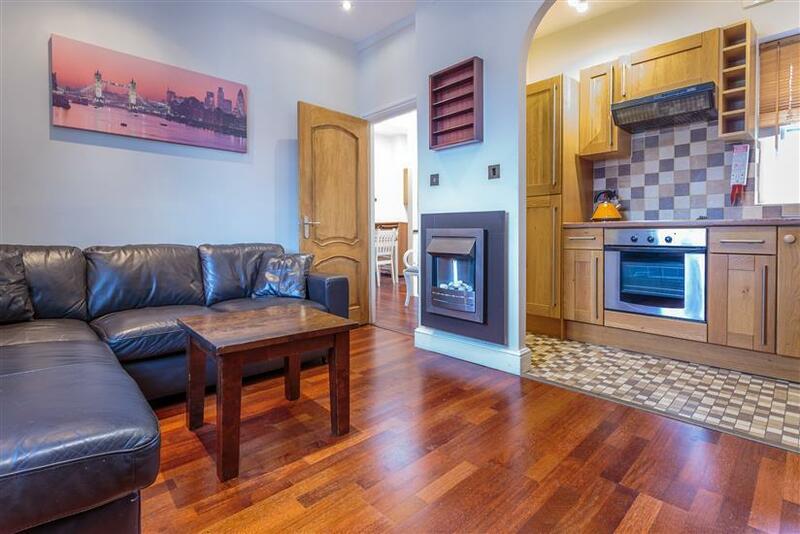 Fully fitted open plan kitchen, living room/lounge, with Play Station 3 & games, DVDs, stereo system & Free Wi-Fi. 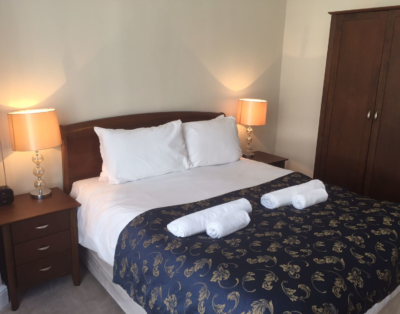 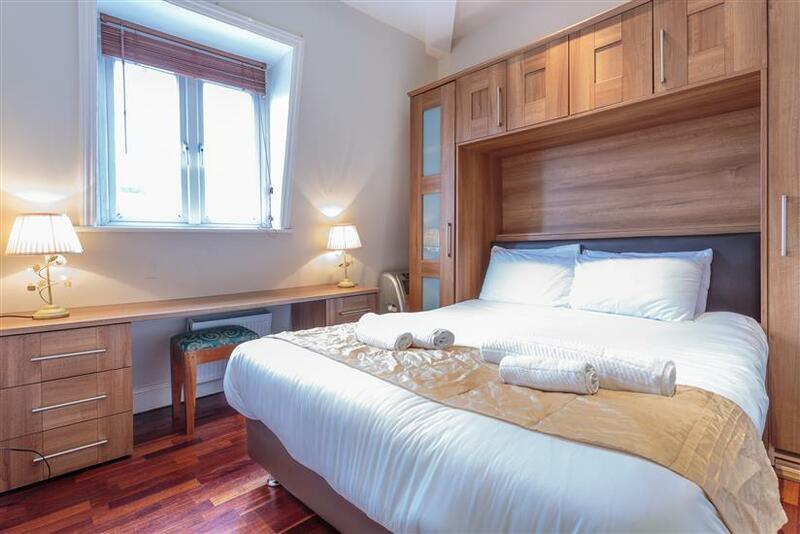 Our three bedroom unit is on the top floor of Castletown House with two bathrooms, one en-suite enclosed shower. 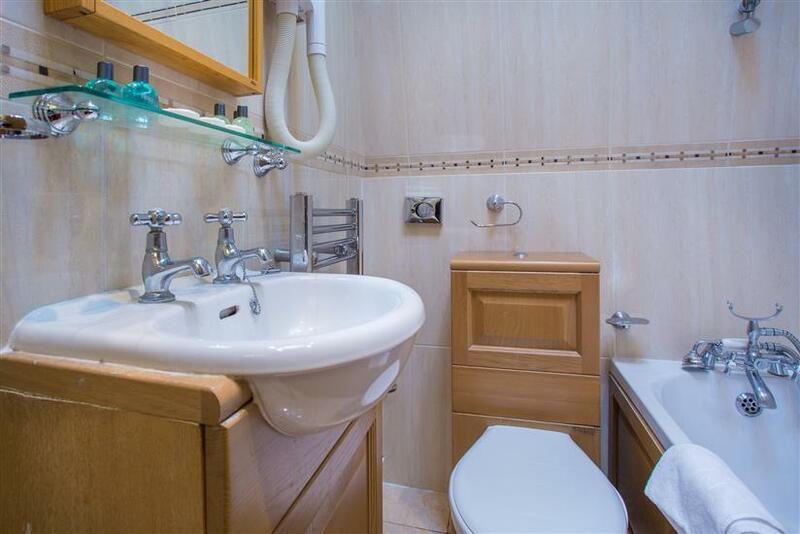 Spa bath in shared bathroom and shower over bath. 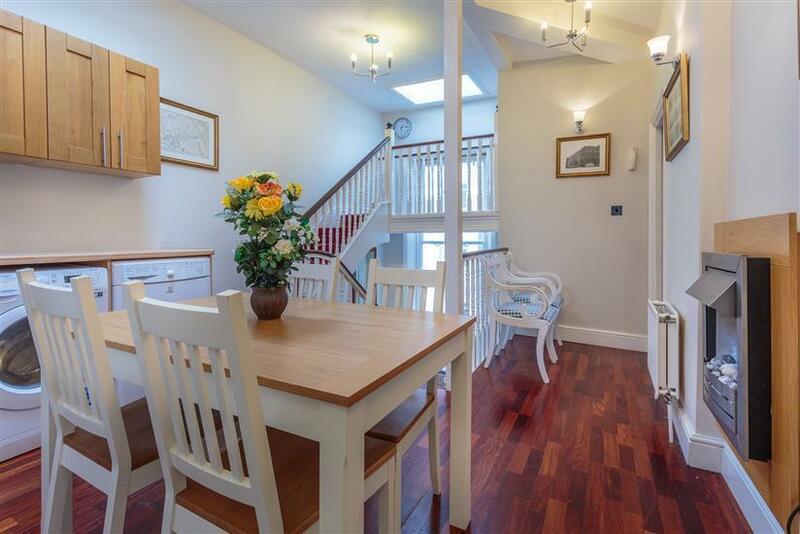 Dining area and living room/lounge. 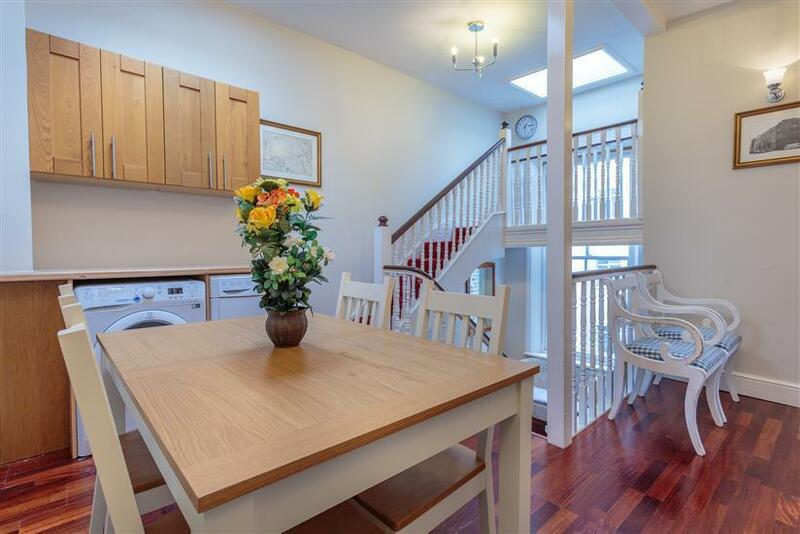 The entrance is on the second floor, and carries on up into the dining area which makes an impressive entrance into the apartment, although we do not have a lift we are on hand to assist with the check in when you arrive.